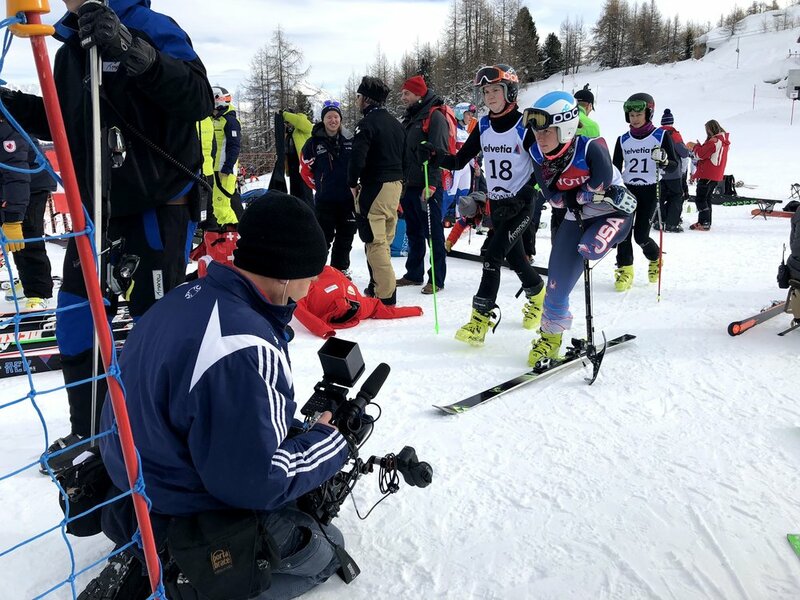 It was an exciting start to the year for Axios Productions as January was spent traveling overseas shooting and editing short documentaries on the Paralympic Games and the athletes competing all while covering the World Cup in Veysonnaz, Switzerland and Tignes, France. Now This Sports distributed the content which was sponsored by Toyota Global pulling in over 20 million aggregate views which was a huge success for everyone involved. 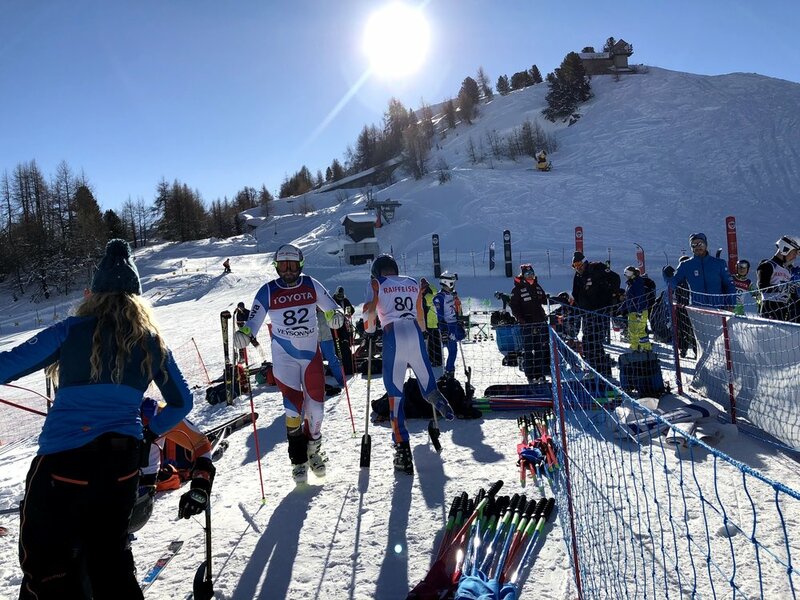 Partnering with the largest video news outlet on social media, Now This News, not only provided us with the ability to raise an incredible amount of awareness for the Paralympics and these impressive athletes, but also the opportunity to build a relationship and collaborate with a company that is committed to social change and making the world a better place. We grateful for the opportunity and look forward to working with the entire Now This team in the near future. From a production standpoint, shooting overseas can be complicated and confusing which is what makes pre-production so crucial on a project like this. With the right amount of planning and forecasting, field complications are minimized and proper focus can be spent on trouble shooting the inevitable snags that will present themselves along the way. For this project, we chose to travel a small crew from NYC including Director Jon Johnnidis, Supervising Producer Matt Wilson and Director of Photography Nick Neofitidis. Our essential equipment traveled with us including our cameras (we chose Canon C200 for this project due to it's compact mobility and range of frame rates) and our cinema prime lens kit. All other equipment including lights, grip and additional crew members were sourced in Switzerland from two great local companies (reach out if you need their info)! The work flow was pretty straight forward, each day we shoot a variety of content including interviews, mountain footage, broll, and supplemental coverage, then we immediately transfer, organize and upload the footage to be sent back to our edit in NYC, manned by Mark Johnnidis, so we could essentially cut the pieces in two locations around the clock. We shot, edited and delivered a total of 5 pieces from the road in under two weeks. Tonight, March 9th, is the beginning of the Paralympic Games being broadcast on NBCSN or streaming live online. We had the incredible privilege of spending two weeks with these athletes watching them compete to secure their spot in the games, so tonight we couldn't be more excited to watch as they compete for the podium. Keep an eye out for our friends Andrew Kurka, Arly Velasquez, Stephanie Jallen, Claudia Loesch, Danelle and Rob Umstead and Menna and Jen as they show the world what it means to be a Paralympic Athlete representing their country! 2017 provided Axios Productions with a wide range of exciting projects, new production partners, and incredible momentum heading into the new year. In true Axios fashion, we provided production services for a diverse group of clients including original content creation for Outside TV and Now This Media, sizzle reels for CakeWorks, STX Entertainment and Refinery 29, event coverage and marketing campaigns for the Breast Cancer Research Foundation, fund-raising videos for After the Impact Fund, corporate videos for City College of NY, social media content for Ollie's Angels Animal Rescue, we teamed up for the 8th year in a row with our friends at New World Production Group to create content for AT&T, went on an epic fishing trip with Chef Christopher Lee and his team at Barcelona Wine Bar while covering their annual retreat, and much more! Now This Media's Headliners featuring Judah Friedlander hosted by Jordan Carlos. Part of what we love about our craft is that each project has it's own unique set of challenges, creative direction, and intended purpose. One day we're hiking, climbing and rappelling a crew of 12 through a 4.5 mile canyon in Moab for Heroes in the Wild, and the next we're creating a show for mothers to appreciate every bit of their imperfect parenting tactics in Mom's Night Out. This diversity forces us to constantly think of new ways to approach a project that will not only exceed expectations on final delivery but, through our extensive network of production partners, keep costs down and production levels high. Most of these projects required our expertise from development to delivery overseeing every aspect of the production production process including field and studio production, production management, casting, writing, story-editing, motion graphics, color and sound mastering. Regardless of how different each project may be, the uniting factor is that every brand has a story to tell and our passion is to bring their stories to life! Looking forward to another exciting year of new adventures and creative mile-stones. Watch Heroes in the Wild below which really was an amazing experience all around with two inspiring men, Super Bowl winning center Matt Birk and Green Beret Art Pue, on a journey to rain awareness for athletes and veterans fighting their battle with PTSD together. To start, create a folder file structure that will mirror the bin structure in your Premiere Pro Project. This will make it easy to stay organized and keep track of all your media as your project grows and changes during the editing process. We keep this file structure in a folder on our company Dropbox so that we can access it no matter where we are or what system we are on. You may not need to use every folder for every job and that's ok. 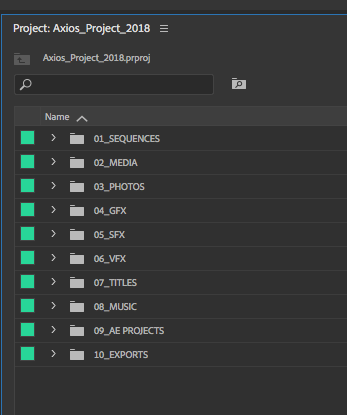 It's not uncommon if a folder or two remains empty for the entire post-production process but having the folders there for when you need them will ensure parity across all projects going forward. The last folder, 11_Documents is the only folder in the file structure that is not mirrored in the Premiere Pro project. It generally holds any scripts, notes taken during filming as well as transcriptions, client revisions, and any other relevant documents to be referenced during the edit. Once you've created the file structure, you need to do the same thing in Premiere Pro. Start a new project and create bins from 01 - 10 mirroring the file structure. For the edit, you can change the first folder to 01_Sequences rather than 01_Pr Projects. Remember to import any of the stock sfx, music, branding & gfx etc. into the appropriate folders in the project as well. Now that the project is organized save it to the 01_Pr Projects folder in the file structure. That's it, you're ready to begin. Anytime you start a new post-production job simply copy the entire file structure folder to your local or external drive, copy your footage and any other relevant media to the appropriate folder and rename the project. Now you can import all your raw and transcoded media as you normally would. Having a unified post production workflow will not only keep everything organized the same from project to project but it will also make it easier for another editor, producer or client to find everything should you need to hand it off. Reach out with any questions or share with us your preferred organization setup in the edit! 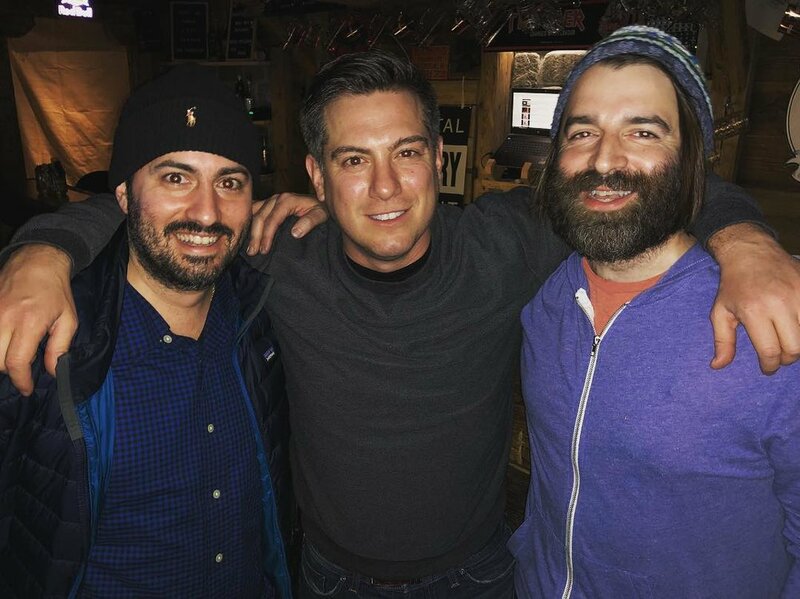 In early September, the rapidly growing restaurant group Barteca hired Axios Productions to produce content around their annual chef's retreat in Montauk, NY for their Barcelona Wine Bar establishments. Lead by James Beard award winning chef and Barcelona Wine Bar Culinary Director Chef Christopher Lee, it was an eventful few days with late dinners, early mornings at the docks for striped bass fishing, team building sessions, and tons of feasting on some of the most inventive and delicious dishes the minds of 14 executive chefs could create! Production was fast and furious shooting documentary style in multiple locations including outdoor "round table" discussions, sit down interviews, active kitchens, and on three, 35 foot boats during one of the most successful striped bass fishing expeditions any of the teams had ever been on. The task from a production standpoint was to capture enough footage to put together a comprehensive recruitment tool for Barcelona Wine Bar management to use for new hires and general marketing purposes. With such a wide variety of locations and events to cover, we needed to be very run and gun with our equipment list. We shot on the Sony A7Sii and Canon 5DMiii cameras, flew the DJI Phantom 3 drone, used a 3 foot slider to bring the round tables to life a bit, and had multiple GoPro Hero 5 cameras mounted throughout the boats for fishing. We ended up cutting two pieces; one was designed for social use and promotion, and the other a longer form version that gives a more comprehensive look into the retreat as a whole. Below is the social version making it's way around the web now! Mom's Night Out is the pilot for an episodic series Axios Productions was hired to produced that celebrates the good, bad and the ugly of being a mom. Each episode, our host/decorated Olympian/reporter/and mom of two, Summer Sanders, brings together a group of friends to talk about the realities of being a mom today, normalize the craziness of life, and bring people together by highlighting the fact that you are not alone on this crazy journey of motherhood! It's a lighthearted and hilarious show complete with personal (and at times cringe-worthy) stories that will make you laugh, keep you entertained, and maybe come to terms with the fact that Bad Mom Life isn't necessarily a bad thing. The Axios team worked closely with STX entertainment and video agency Cake Works, on every aspect of the production process including concept development, casting, location scouting, production and full post-production. A big thanks to our crew of over 15 members who helped pull off a flawless production day and our entire cast of moms...Julie Kottakis, Katie Cariello, and Michelle Park, who kept us entertained thoroughly throughout. It's always a rewarding experience when a production comes together and we're all looking forward to telling more stories of parenting success and failure on future episodes! Click the link to watch the Mom's Night Out pilot and if you like it and want to see more, help spread the word by sharing the video with your friends! Ollie's Angels Animal Rescue - Run, Ruby Run! Working with non-profit companies creating a wide variety of content including fund raising videos, full event coverage, broadcast PR packages, and social media focused brand overview videos is an important part of what we do at Axios Productions. Collaborating with dedicated teams of professionals who are passionate, creative and who are literally changing and saving lives all over the world is not only important to our team as individuals, but it's also one of our core values at Axios, change the world for the better. We are proud of the collective years of content created for philanthropic organizations such as the Breast Cancer Research Foundation, After the Impact Fund, Mike Ditkas Gridiron Greats Assistance Fund, the Kevin Turner Foundation, and Acumen just to name a few of our regular clients. I look forward to sharing updates, event videos and new content on each of these organizations and projects soon, but this post has a different focus. Ollie's Angels Animal Rescue is a foundation started by Melissa Bielawski around two years ago and as the name implies, they rescue dogs finding them forever homes effectively saving their lives in addition to the families who adopt them. Full disclosure, Melissa is sister and cousin to the two primary members of Axios Productions and we couldn't be prouder to add her to our client list of change makers! Much more on Ollie's to come, but the purpose of this post is laser focused: We want to find their latest rescue, Ruby, a forever home! It's been almost a year so I think I'm ready to tell this story. Spoiler alert, I crashed my drone into the Caldera wall in Santorini. Last September my wife Diana and I began our honeymoon in Santorini, Greece. We stayed at the Kirini Suites in Oia and spent each day relaxing, exploring and feasting. As a photographer, I couldn't get enough of time-lapsing the night sky, taking beautifully easy photos as anywhere you pointed the camera was a postcard perfect picture, and of course, flying my DJI Phantom 3 Pro Drone that I lugged halfway across the world. After a couple of successful missions, I woke up before what seemed like the entire island and decided to take flight. There was a slight breeze, heat was low as it was early, and a massive cruise ship directly below us in front of the Nea Kameni crater. The initial noise of the propellers was so loud I thought it would wake up the entire island but once I launched from our patio the noise disappeared and nothing but incredible visuals filled my viewfinder. Sweeping shots of the entire island, volcano pans, flying into the clouds, runs along the Caldera wall. Everything was perfect. I was having so much fun in fact that I immediately disengaged the emergency return home alarm when my battery hit 30%. I got this. I decided to do one last sweep out to the crater then back over the cruise ship before bringing it safely home. Obviously, the Greek Gods had a different plan. Over the Aegean as the sun began burning hot, the winds began picking up. For a drone, as it relies on several civilian satellites to steady the flight, this meant the battery had to work extra hard to steady it draining at a much faster rate than expected. At 20%, I began pulling back home from the furthest point. Due to the winds and speeding back home, the draw on the battery was massive and, something I was not aware of, once it hit 10% the drone automatically engaged the lovely safety feature called "auto landing." OK, so you crashed your drone, it's down and you're not sure where it is but, no man left behind right? From that moment, I made it my new mission to retrieve whatever is left and hopefully salvage the card with the raw files. Luckily i had a general idea of location from the GPS tracking on viewfinder. After an exhaustive hour and half of scaling walls, tiptoeing through hotel patios, hiking over rooftops and basically covering every inch of the general area it went down, I was about to give it up when, I finally found a worker at a nearby hotel who saw where it crashed...on the side of the volcanic ash island, midway down the wall. Using a telephoto lens I was able to spot the wreckage and proceeded to, admittedly extremely unwisely, find a path and scramble out to retrieve what was left. Disclaimer: DO NOT climb on the mountainside of Santorini. So, in the end, I did find my drone, salvage the footage, and cut a nice "In Memoriam" movie included below. If you fly a drone, you will most likely crash it at some point. Maybe not this dramatically, but accidents do happen. Constant situational awareness is essential, a spotter keeping two eyes on the drone in the air is preferable, and once you hit that 30% marker, bring it home or have an emergency landing zone ready to save it! Reach out with any questions on what to do, or more importantly, what not to do when flying your drone. NOTE: DJI was able to repair the broken parts for a couple of hundred bucks once I got back. Tomorrow is a big day in the world of original content creation for publishers, filmmakers, storytellers and brands as Facebook is launching their "watch" tab. Watch will house a wide variety of original video content ranging from sports to comedy to cooking and beyond. To start, it's short form videos, but big plans are in the works for longer form content and reality style shows following a broadcast TV model. Being directly involved with the digital production world for over a decade now, it's exciting to see the shift in desire for high-quality digital content and the emergence of a brand new distribution platform inside of Facebook to kick it off. Other brands are soon to follow this model, and Axios Productions is looking forward to contributing our own work as well! Adding a video to marketing emails can boost click-through rates by 200-300%. For more info READ THIS ARTICLE!